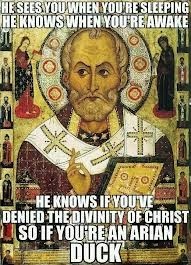 Lately, I've seen a proliferation of memes related to St. Nicolas (feast day December 6th), who is reported to have hit Arius during the Council of Nicea when he tried to give his speech about Jesus. Now, it has a certain humourous angle to it, the way the Rob Ford scandal is humourous: just absurd and a bit outlandish, not something you'd expect from someone in that position. But like the Rob Ford scandal, when you consider the actual act, it's not that funny. 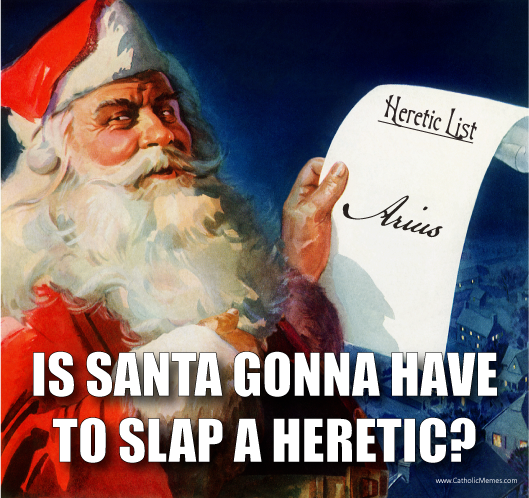 Having a laugh about slapping heretics isn't really the vibe we should be aiming for in this twenty-first century. 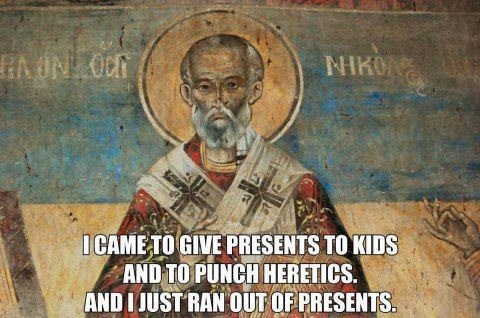 Like physical violence in the name of religion (or any belief) is okay. I don't want to make this something bigger than it is, but it kind of bugged me that people thought this was appropriate. 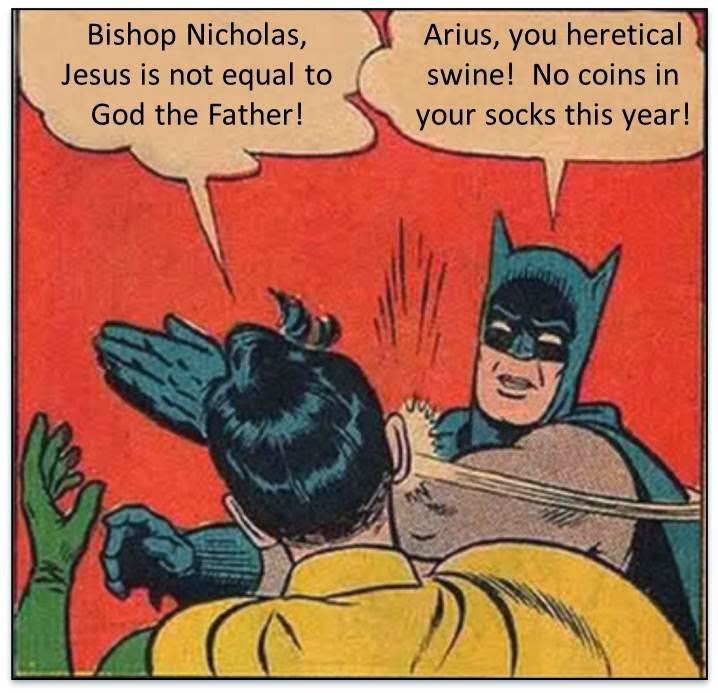 Orthodoxy should be accompanied with a certain meekness, not aggression.